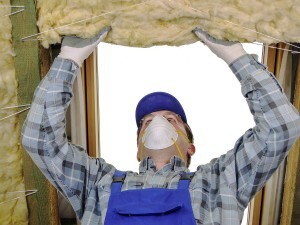 It’s easy to overlook the benefits of proper home insulation. After all, insulation is usually out of sight, in your home’s attic or wall cavities. But if your insulation is damaged and needs to be replaced, there are signs that you may notice in your Orlando home. Not sure what those are? Let 31-W Insulation help. We are fiberglass insulation professionals and can expertly assess the condition of your home’s insulation. Your home has a hard time maintaining a comfortable indoor temperature. Your HVAC unit is running constantly. Your energy bills are unaccountably high. Your home’s temperature varies from room to room. At 31-W Insulation, only our trusted employees will install your fiberglass insulation to ensure that our stellar workmanship standards are upheld. We will minimize any disruption to your daily routine and clean up thoroughly after your project is finished. With new fiberglass insulation, you can expect a more energy-efficient home, less noise pollution from the outside, and a stable indoor temperature. Because we offer long-lasting fiberglass insulation from the best brands on the market, including CertainTeed and Owens Corning®, you can be confident that these benefits will last through the years. For more information about the fiberglass insulation services we provide in Orlando, contact 31-W Insulation today.